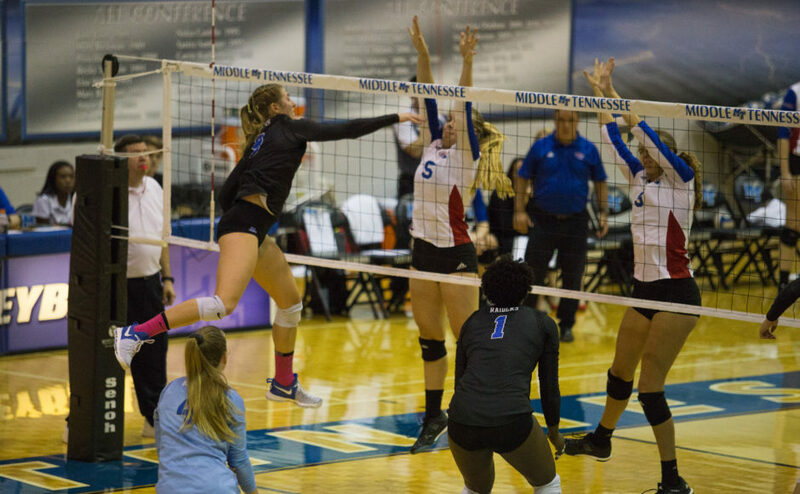 The Middle Tennessee Lady Raider volleyball team (7-21, 2-10) played the 25th-ranked Western Kentucky Hilltoppers (27-2, 13-0) at home. MTSU jumped out to an early lead but couldn’t sustain it, and WKU walked away with a straight-set victory. Middle Tennessee came out with some fire to start the match, taking a 7-4 lead. WKU responded with a flurry of kills, leading to a 16-9 lead after a 12-2 run. Though the Raiders fought back, they couldn’t make the comeback, and they fell in the first set by a score of 25-20. The second and third set each featured dominant performances by the Toppers as they took the final two frames by scores of 25-13 and 25-16. There were some bright spots on the team as sophomore Brienna Tankesley put up an impressive 10 digs against the Lady Toppers. Sophomore Dora Peonia continued her great play of late with 11 kills and two digs, while junior Bailey Mason added 10 kills of her own and 4 blocks. 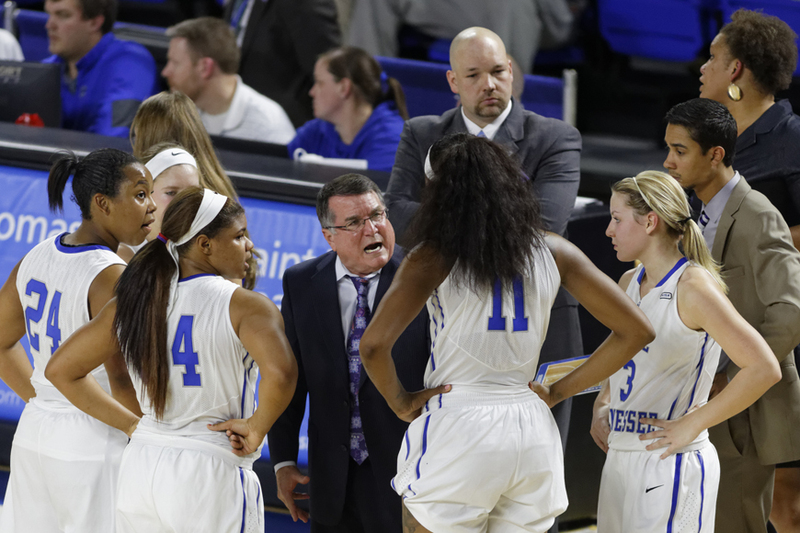 The Lady Raiders will play their final game of the season on Thursday, Nov. 9, at home against Florida International. This will be Senior Night as well, and Sloan Sullivan will be honored as the only senior.